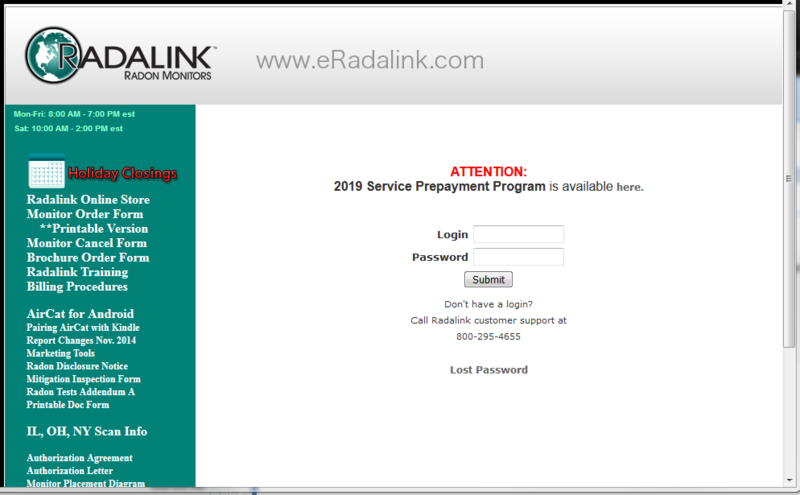 Our original customer portal at eRadalink.com has been used by our customers for years. If you have been with us since before November of 2018, you will be familiar with this system. If you have moved your accounts to the new MyRadalink system (below), then please do not attempt to use the eRadalink system any longer. A new customer portal has been released. Looking to migrate your eRadalink accounts? MyRadalink is our next-generation customer portal, found at MyRadalink.com. 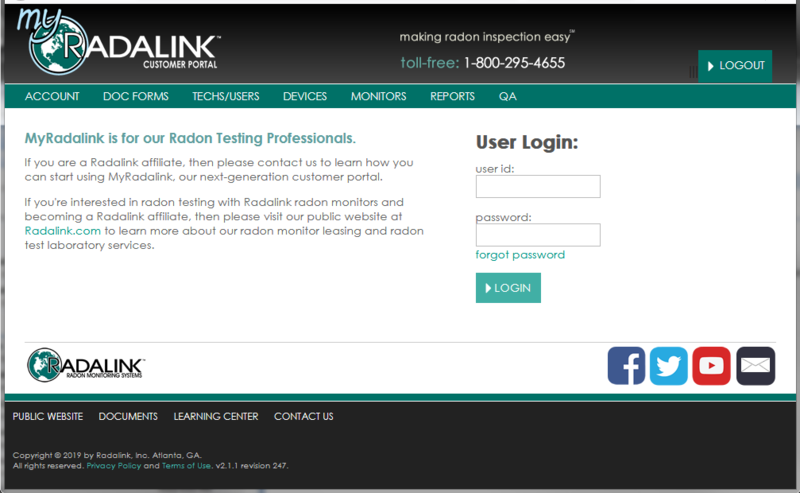 In addition to doing better everything that the old system did, it offers a variety of new features and functions to make radon testing with Radalink as simple and easy as possible. To move your account(s) to MyRadalink, just contact us and schedule a fast support session. We'll assist you in installing new AirCat app software, and can walk you through the new features of MyRadalink.